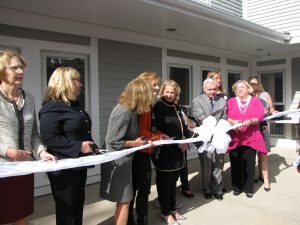 Lucy’s Hearth recently celebrated the grand opening of their new facility for homeless women and children with a ribbon cutting ceremony. 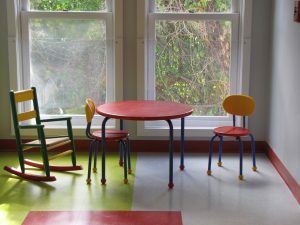 For over 30 years, Lucy’s Hearth has provided shelter and critical human services to women and children experiencing homelessness in the same building, which was no longer suitable for the vulnerable women and children they serve. 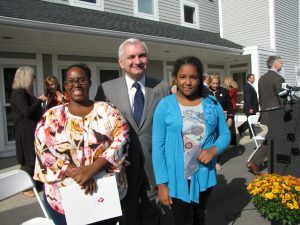 NCA Principals Glenn Gardiner and Dan Kwasniewski joined Senator Jack Reed, Congressman David Cicilline, Senate President Teresa Paiva Weed, Rhode Island Housing Executive Director Barbara Fields, Lucy’s Hearth’s Staff and Board in the celebration. 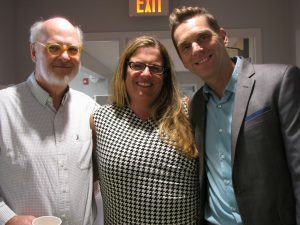 Lucy’s Hearth was established in 1984 as a grassroots organization serving as a night-to-night shelter for homeless women and children in the community. Over the years, the shelter expanded its service continuum with a focus on self-sufficiency to help families increase their ability to live independently, thus breaking the cycle of homelessness. Lucy’s Hearth delivers holistic wrap-around services for resident mothers and their children including case management, daily nutritious meals, mental health treatment, referral and advocacy, early intervention for children 0-3 years of age, life skills training, financial literacy education, on-site GED education and more. Nationally accredited as an Enhanced Shelter, Lucy’s Hearth provides crisis stabilization as well as basic human needs assistance including meals and clothing, and comprehensive self-sufficiency programs designed to increase each woman’s capacity to secure permanent affordable housing. Families remain in the Enhanced Shelter Program from three to six months, and more than 80% of families transition into permanent housing. 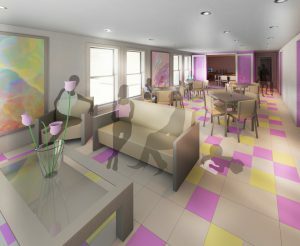 Most importantly, the women and children served by Lucy’s Hearth will have the opportunity to live, recover and improve their lives in a dignified, modern environment.